You can find our latest posts on this page. Click on the blog titles below or click on the calendar to review postings from prior periods. Remember to check back here often! 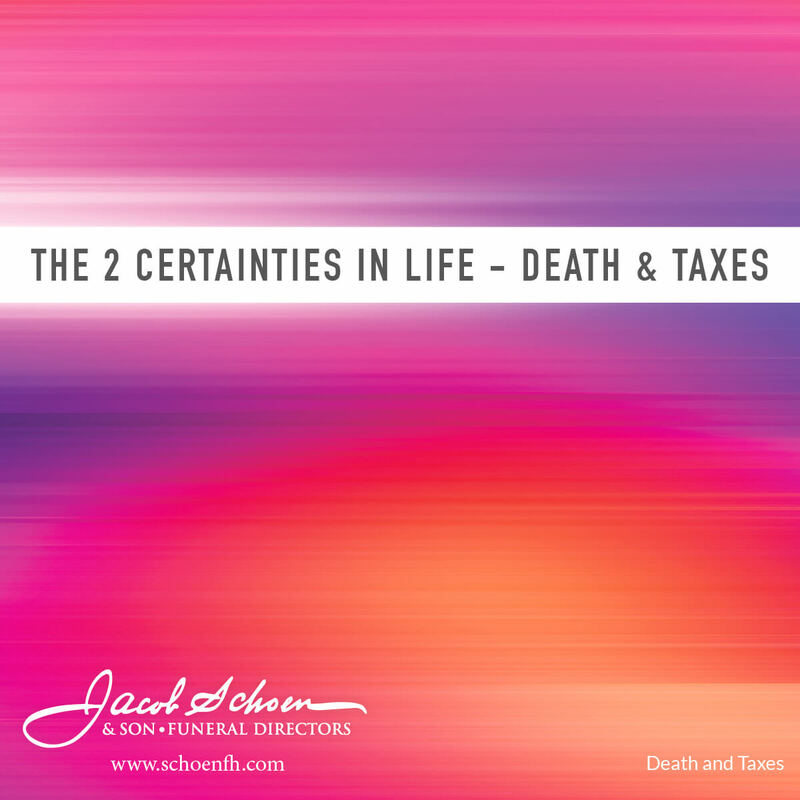 Death and taxes (seemingly unlikely bed fellows at first glance) are often linked together because they have long been considered unavoidable life events. Some even say they are the only two things that are certain in life. Neither are something people typically look forward to, but they are both events that are anticipated and can be prepared for in advance. This is the time of year when folks hope they have prepared well for their taxes. Most people prefer to get a tax refund rather than a tax bill. They hope the calculations have been made correctly and the payments made throughout the year will be enough to offset the sting of a big tax bill come April 15th. Hmmm… come to think about it, most folks don’t typically look forward to a big funeral bill at the end of their life either. Few want to leave their family responsible for funeral costs. However, many people don’t plan to offset that expense like they do their taxes. Even though most people, 62.5 percent according to the National Funeral Directors Association’s (NFDA) annual Consumer Awareness and Preferences Study, think it’s important to plan in advance. Only a small percentage (21.4 percent) actually act on their good intentions. Why? They have the perception that prepaying is too costly. Most people are unaware that prepaying does not mean you must pay in one single payment. Many funeral homes offer specialized programs that allow funerals to be paid in advance, just like taxes, in small easily digested bites. Payments can be made on a variety of schedules allowing the consumer the opportunity to choose how long to stretch out payments and how often to make those payments. Individuals can even choose to make one payment per year! That means a person could choose to put their tax refund toward their funeral. Taxes could pay for death! What about that roughly one quarter of people who do go beyond thinking they should make a funeral plan and actually make one? How do they feel once they have their plan in place? Ahh, they feel good. Funeral planners often say they see shoulders go down, hear audible sighs of relief and get hugs at the conclusion of a planning session. It’s like cleaning out the junk drawer. Something most folks put off but when they dig in and get it done, it feels so good they just keep going back to sneak a peak at that drawer all in order. These days we’re hearing a lot about life celebrations. A funeral is a ceremony for someone who has died and the survivors. A celebration of life is a funeral with a celebratory feel and it may or may not have a faith-based component. Celebrating the life of the accomplished, the kind, and the generous feels natural. It feels like something we should do. On the other hand, what do we do about the “broken” people? The bullies, the addicted, the angry, or those who just never got it all together. What do we do when they die? Most of us have one or more imperfect people in our immediate circle. The loss of one of these folks is real and it hurts. Because they are gone, our lives will not be the same. We may be relieved of a burden, but we are also without hope. The hope that we will get a hug or a kind word is gone. The hope that a child will get sober and realize the potential you knew was there is gone. The hope that we will hear “I’m sorry” or understand the reason behind the addiction, the anger, or the hatred is now gone. It’s painful. Someone we love has died. Having a funeral will help. It can be hard to know just what to do when “celebration” doesn’t feel right. This may be especially true if a faith-based service does not feel like the right fit. Ask your funeral director for help. There are funeral celebrants who are not attached to a church who can help you find the right fit. 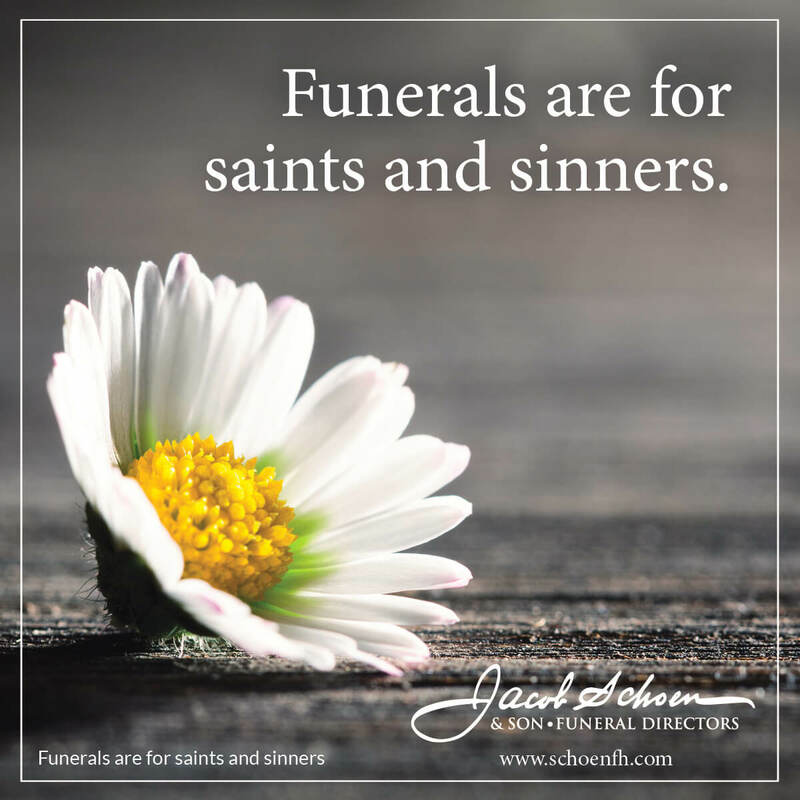 Your funeral director can help you find the right person. Funerals are always for the survivors. Regardless of how the deceased spent their time on this earth, survivors need to gather with each other and their friends. Everyone needs to share in a safe place. All survivors grieve. We all need the opportunity to begin our grief journey in a healthy way. A funeral, a ceremony for someone who has died, is the beginning of that journey.